Log in to the RHEV-M Admin Portal. Power off the virtual machine (VM). Select the Network Interface sub-tab for that VM and click “Edit”. 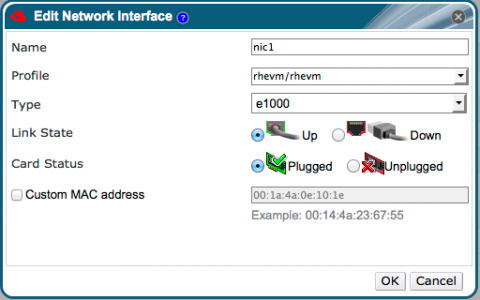 5.Update the networking configuration inside the guest with the new MAC address.